Is been a great 6 months with Purer Skin, I’ve been diligently using their skincare and my skin has made tremendous improvement since. Is hard to imagine it is actually possible to incorporate pure Birdnest into my daily regiment. Among all my current favourite is the Purer Skin Crème Cleanser, it not only gives my skin the needed moisture after cleansing it actually brightens the skin surface! Purer Skin is definitely product for youth extension, it showers the skin with so much love and attention, helping to nourish and smooth my skin texture. I can’t be more thankful for that radiant look I carry on my face nowadays. 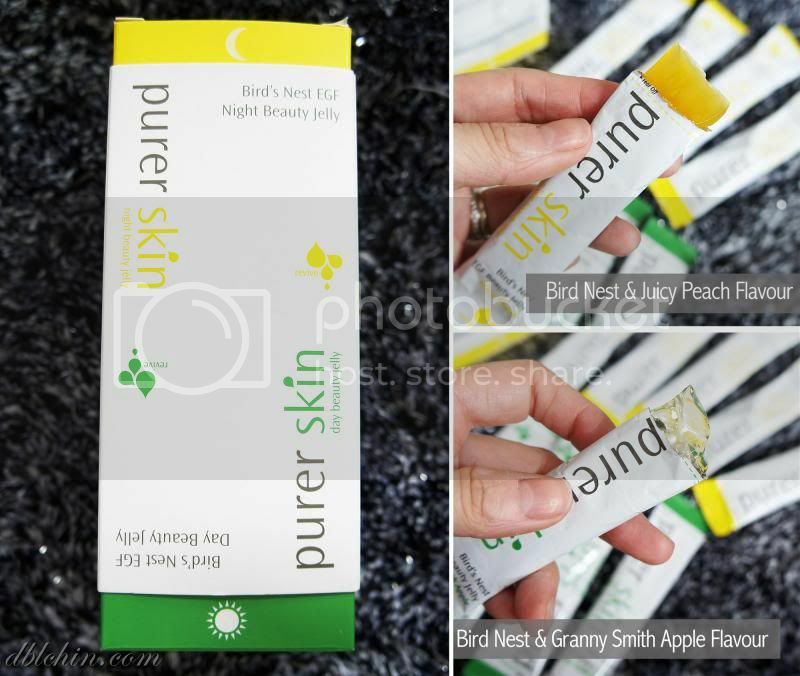 Aside from feeding the skin, Purer Skin came up with their newly launch product for consumption! To tell you the truth, both products taste nothing like conventional collagen drink/jellies, they are filled with yummy goodness that taste great! And best of all, the key ingredient contains Pure Concentrated Bird’s nest. 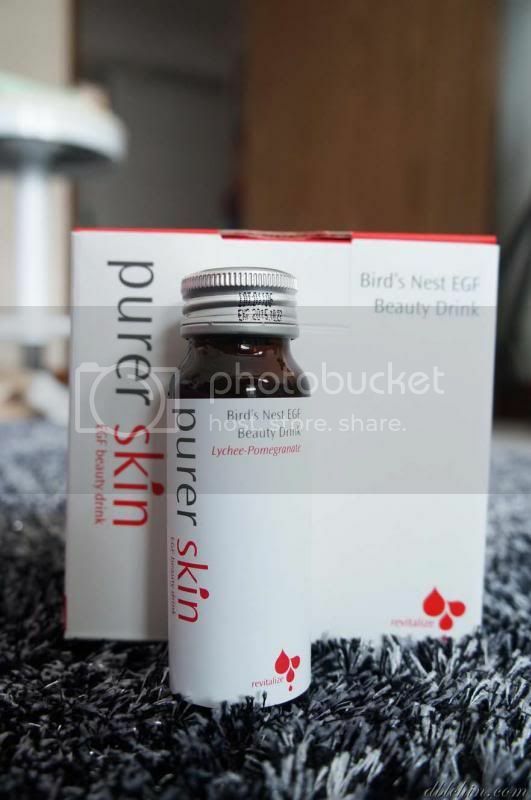 Bird’s Nest EGF Beauty Drink S$30.00 is available in a mini carton that contains 6 bottles of 50ml drink. Formulated into Lychee and pomegranate flavour, Purer Skin EGF is one of the tastiest beauty drinks I have ever came across. 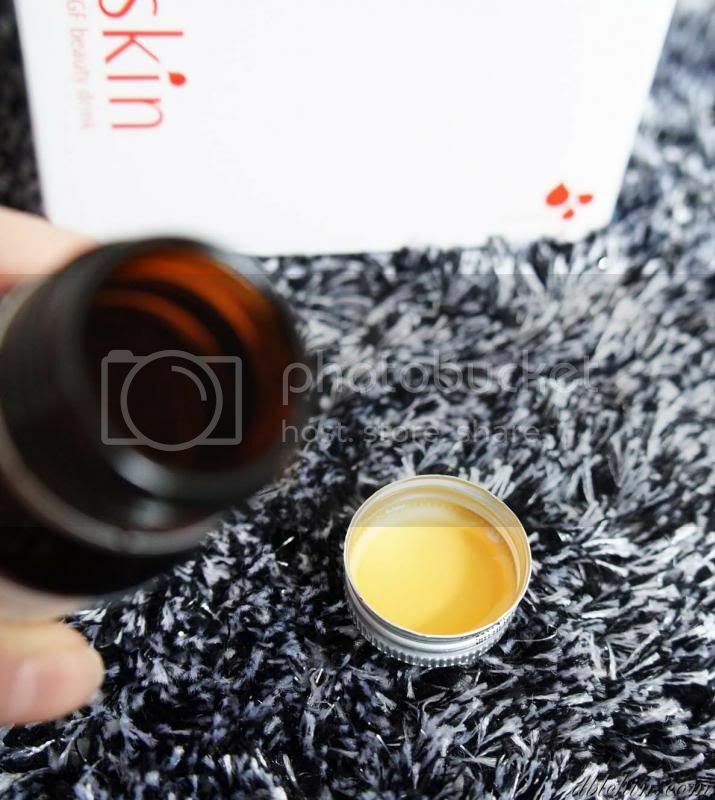 Not only it does contain Pure Bird’s nest, it also carries key ingredients like: France Ceramide that keep skin moisturised naturally, Astaxhanthin which keeps the skin young, Royal Jelly for skin renewal, scar and wound healing and Acerola Extract to improve skin tone, heal sun damaged skin. Instead of looking at this as a routine drink, I see it as a daily indulgence. It is like having the perks to enjoy ice-cream everyday except zero ounce of sinfulness. Product actually looks like this, very similar to those flavoured canned lychees except is all healthy goodness. It has more of the lychee than the pomegranate flavour and because it tasted so refreshing, I considered this perk-me-up drink. I’ve never come across a Day and Night Jelly, I believe Purer Skin is one of the first. Ok to start off I love eating Jelly, whenever I shop at local supermarket I will never fail to visit the section containing jellies. As good as it taste, most jellies (for leisure bites) actually contains artificial flavouring which is least healthy for the body. So Purer Skin came up their own version of Jellies that is yummy and beneficial, I’m thinking why go for the ones at the supermarkets where it can only satisfy my cravings when I can chew on something that helps improve my overall well being (and also satisfy my cravings)? 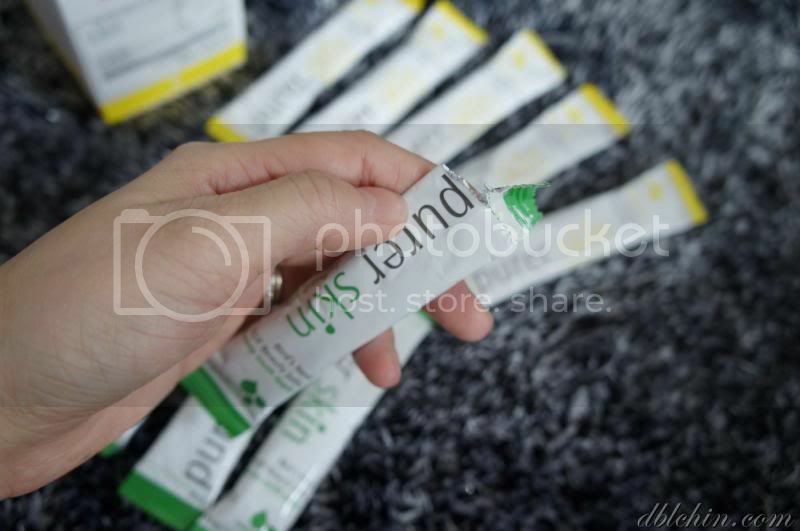 Every sachet is pack in a foil strip that is easy to tear apart, no more dirtying your scissors just to get them opened. Bird’s Nest EGF Beauty Jelly comes in 2 different flavours, the Day Jelly in Bird’s Nest and Granny Smith Apple and the Night Jelly in Bird’s Nest and Juicy Peach .The Key Ingredient of both Jellies are pretty much the same (Purer Source Bird’s NestTM Epidermal Growth Factor (EGF) for skin cell regeneration and repair, Vitamin C to encourage natural production of collagen, Biotin for natural glow and to reduce wrinkles) except the Day Jelly contains Apple Juice that helps to reduce appearance of wrinkles and Night Jelly contains Carotene for skin renewal and regeneration. ION Orchard, Parkway Parade, Bugis Junction, JEM, Ngee Ann City, Jurong Point, Marina Square, Vivocity, Raffles City, Toa Payoh (HDB) Hub, Compass Point.